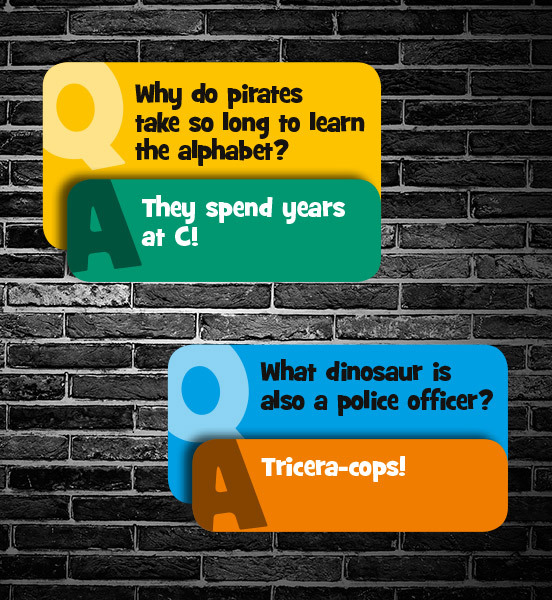 Q: Why do pirates take so long to learn the alphabet? A: They spend years at C! Q: What dinosaur is also a police officer? Q: Why are frogs always happy? A: Because they eat whatever bugs them! Q: Why did the robber wash his clothes? Q: Why did the guest bring a toilet to the party? A: He was a party pooper! 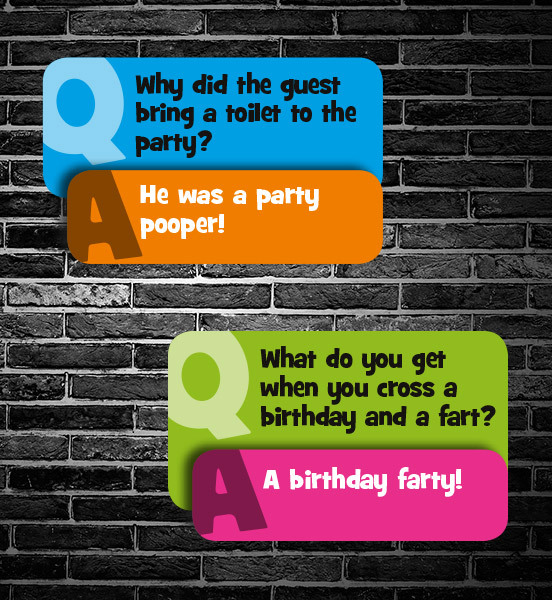 Q: What do you get when you cross a birthday and a fart? 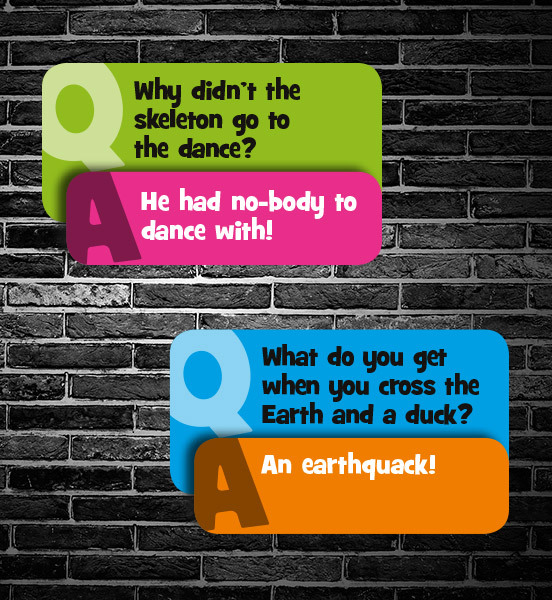 A: He had no-body to dance with! Q: What do you get when you cross the Earth and a duck? 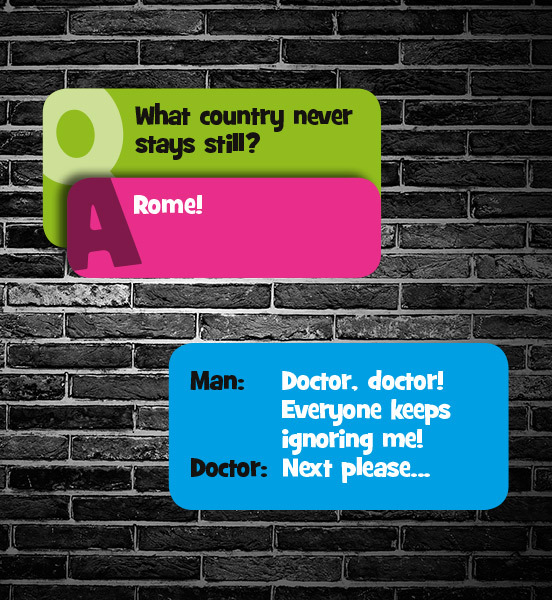 Q: What country never stays still? Man: Doctor, doctor! Everyone keeps ignoring me! Q: Why did the boy throw the clock out the window? A: He wanted to make time fly! 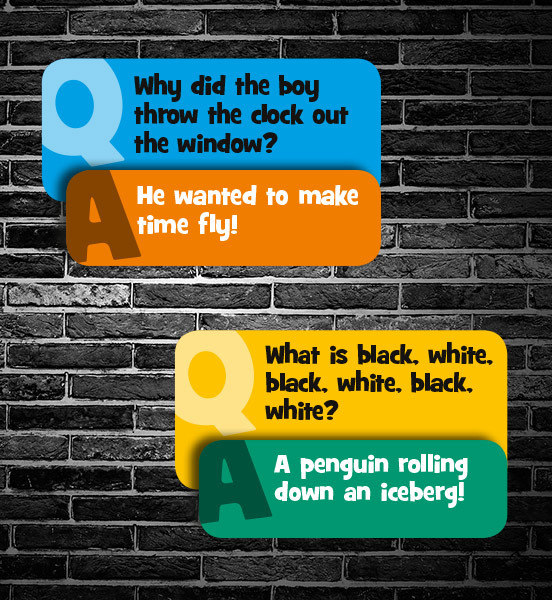 Q: What is black, white, black, white, black, white? A: A penguin rolling down an iceberg! Q: What is a tree's favourite thing to drink? Q: What do you call a line of Barbies in a row? Q: What's for lunch on the moon? 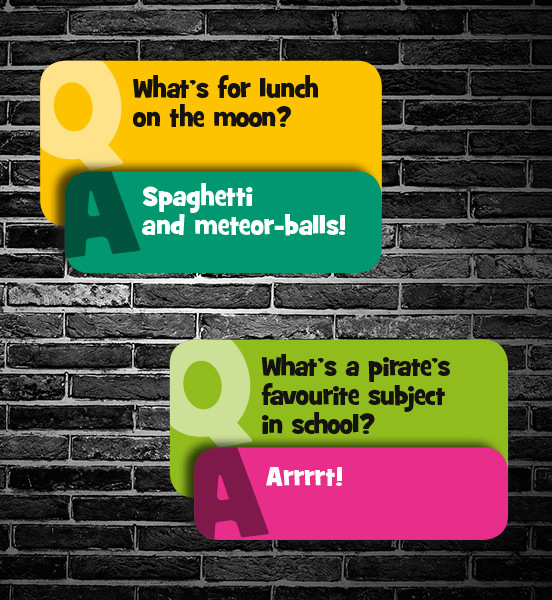 Q: What's a pirate's favourite subject in school? Man: Doctor, doctor! My eyesight is poor! Postman: Your absolutely right, this is a post office! What's the best thing about Switzerland? I don't know, but the flag is a big plus! hi guys watt a website this is great . What do you call earth worms when there born? Birth worms! Thanks guys for publishing my joke to K-Zone and you are cool dudes always.